Pictured: the Saskatoon Minor Hockey Association class of 2017. L-R: Cohner, James, Ethan, Boston, Graham, Kaeden, Alec, Logan, Josh. 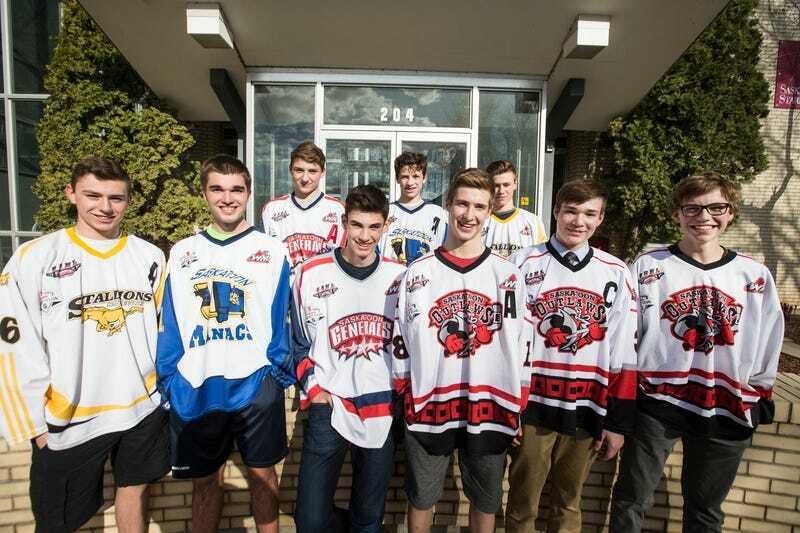 On an auspicious day for names, the Western Hockey League held its draft for 14- and 15-year-old players. As in past years, the draft board is a revealing look at what parents west of Ontario and west of the Mississippi are naming their kids. The full draft list is here, but as always, Twitter emcee Adam Herman, of Blueshirt Banter, is here with the important numbers. Like the Aidan/Braden/Braeden/Brayden/Caeden/Hayden/Jaden/Jayden/Kayden breakdown. Here are my favorite, oh, 18 names. The NHL is going to feel very weird in a decade or so. Or maybe not, because by then my name will be Aiydyn somehow.